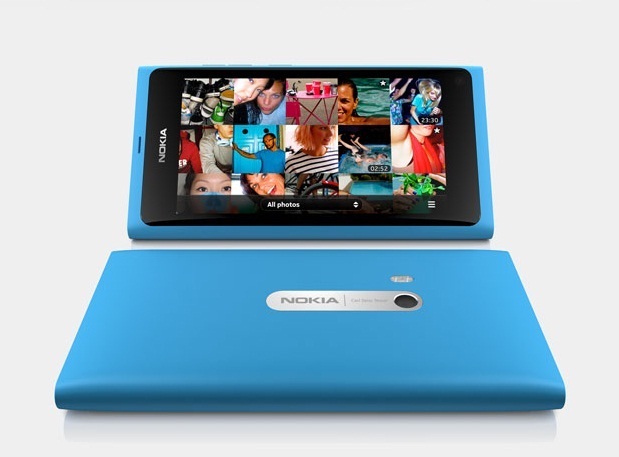 Nokia N9 features one of the advance and fastest camera in mobile phones. The 8MP with Carl Zeiss optics giving wide angle and bigger aperture will definitely create some stunning shots. 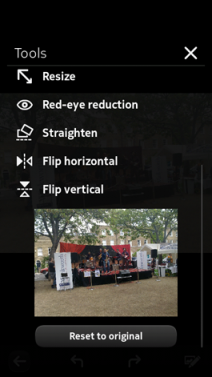 That’s why Nokia is accompanying this with a cool photo editor dubbed as Non-Destructive Photo Editing. The very basic of the system called non-destructive photo editing is to give the users the ability to bend time..no, not that too exaggerated description, but rather a very useful photo editing of undo and redo. 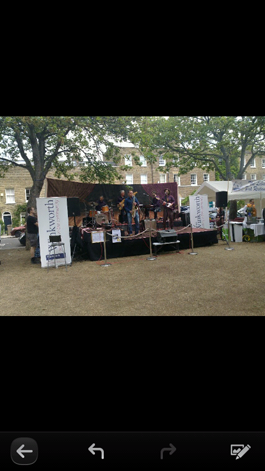 Undo and redo control features on 1st image. Once you’ve edited your taken photos and saved it in your gallery you can still go back to its original state by doing some undo to it. Sounds very clever. And that’s not all because you can still go back to the edited state of your photo by doing some redo. A very simple photo editing feature but very useful. The editor also features wide selection of options and settings for image tweaking. 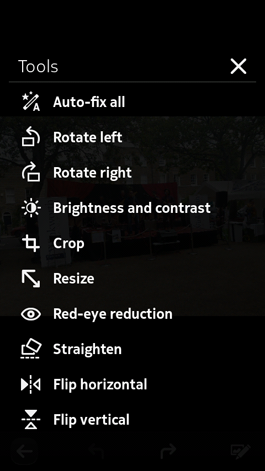 Like from Red-Eye reduction to re-sizing, so you can probably do some Photoshop basic editing right from your Nokia N9. Are you excited of the Nokia N9 too? Are you getting one?